Ex-Jeparit winger who missed only one game in his solitary year at Victoria Park and played in the Grand Final team. Stayed on the senior list for a further two years but couldn’t manage another senior game, totalling 28 reserves games in all before he was prematurely forced into retirement at the end of 1958 with a serious knee injury. 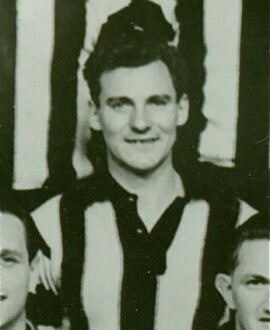 Later captain-coached Northcote Park, and won the best-and-fairest at that club in 1960.